Taiwanese manufacturer Asus has kicked off its IFA 2017 campaign with bunch of announcements including gaming laptops, PCs, and more. The company showed off all-new Predator gaming line alongside the new 23.8-inch Aspire S24 all-in-one desktop PC. Acer also revealed two connected 360-degree cameras, new projectors, and new Pawbo products. The company announced Nitro 5 Spin convertible laptop and Switch 7 fanless 2-in-1 notebook at the same event. 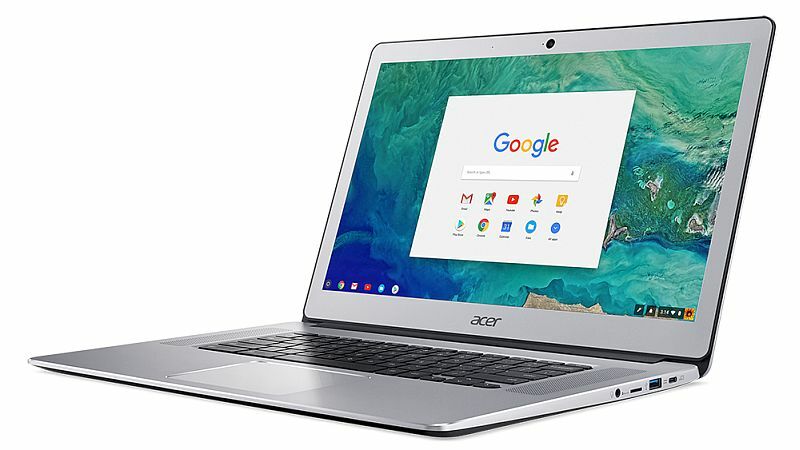 The all-new Chromebook 15 is being marketed as the “only Chromebook in the industry with a 15.6-inch display and aluminium design.” The Acer Chromebook 15 will be made available in either a touch screen or non-touch screen models. It will be available in EMEA (Europe, the Middle East, and Africa) in October starting at EUR 499 (roughly Rs. 38,000). It will also be available in North America in October starting at $399 (roughly Rs. 25,500), including the United States, where it will be offered at Best Buy and the Acer Store. The company claims up to 12 hours of battery life and the new Chromebook will support Android apps via Google Play when it is launched. It will be available in configurations of dual-core Intel Celeron and quad-core Intel Pentium processors available with 32GB or 64GB of storage as well as 4GB or 8GB of RAM. It features a backlit keyboard and weighs 1.72kg while measures 378x256x18.9mm. 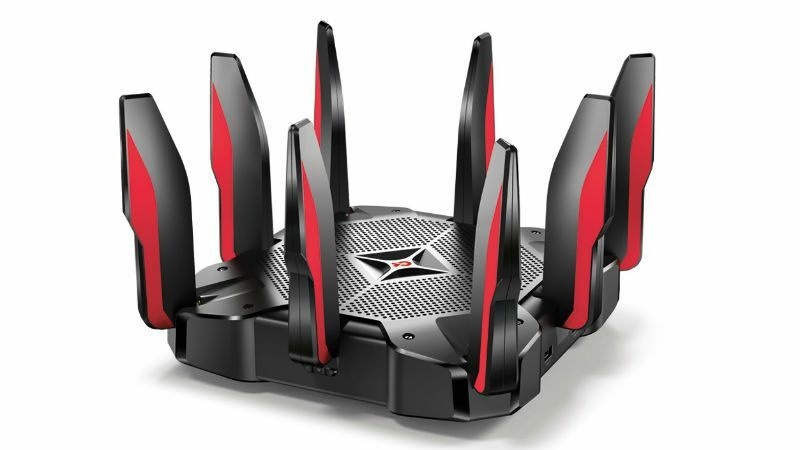 Connectivity options include Intel Wireless-AC (802.11ac) wireless featuring 2×2 MIMO technology; two USB 3.1 Type-C ports; Bluetooth 4.2; two USB 3.0, and an HDMI port. At its IFA event, Acer also launched the Swift 5 and Spin 5 laptops. The Swift 5 will be available in North America and EMEA in December starting at $999 (roughly Rs. 64,000) and EUR 1,099 (roughly Rs. 84,000) respectively. China will be the launch market in November starting at CNY 7,499 (roughly Rs. 73,000). 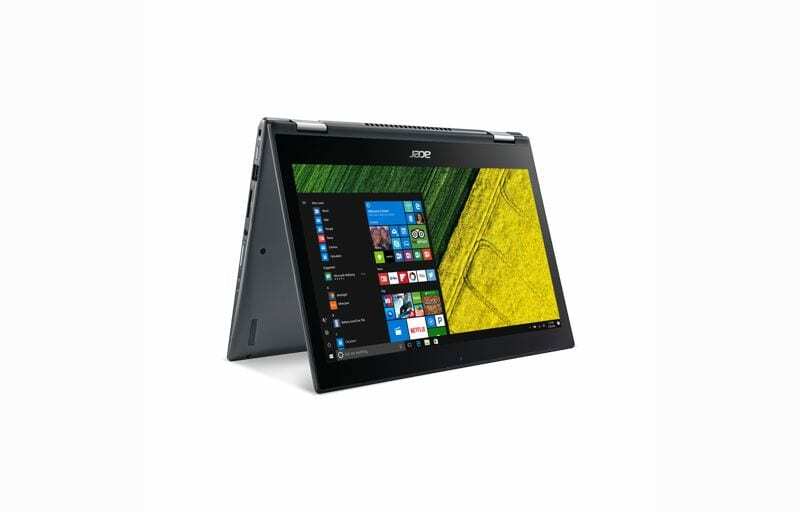 The Acer Spin 5 on the other hand will be available in North America and EMEA in September with 13-inch model starting at $799 (roughly Rs. 51,150) and 13-inch model starting at EUR 899 (roughly Rs. 69,000). The new Swift 5 is said to offer stylish portability alongside capable performance. It weighs less than 1kg, and is built with ultra-light magnesium-lithium and magnesium-aluminium alloys. The laptop is powered by eighth generation Intel Core processors, and is said to deliver up to 8 hours of battery life. It has a full-HD IPS touchscreen display, and a backlit keyboard. The Spin 5 convertible laptop on the other hand has a rotating display like others in its series, letting users switch between laptop, tablet, display and tent form factors. The 13-inch model weighs 1.5kg and is at 15.9mm thin, while the 15-inch model is is just over 2kg and 17.9mm thin. They both ship with eighth generation Intel Core processors, up to 16 GB of DDR4 RAM, and even a discrete Nvidia GeForce GTX 1050 graphics. Acer also introduced its fanless 2-in-1 notebook dubbed Switch 7 Black Edition. It features a 13.5-inch display with 2256×1504 pixels and is powered by Intel Core i7 processor. It comes with a kickstand and runs on Windows 10. Acer Switch 7 Black Edition will be going on sale in December starting at $1,699 (roughly Rs. 108,000). Acer also revealed its new Nitro 5 Spin convertible laptop targeted at gaming enthusiasts. It starts at $799 and will be going on sale from September. It comes in two display sizes including 13-inch and 15-inch sizes. It is powered by Intel’s 8th generation processor offering up to 16GB of RAM. Acer showed off its new Predator line up comprising the Predator Orion 9000 series gaming desktops with Windows 10 and the Predator X35 monitor with Nvidia G-sync. Additionally, Acer is also offering a new Predator headset and mouse to enhance control and gaming experience. 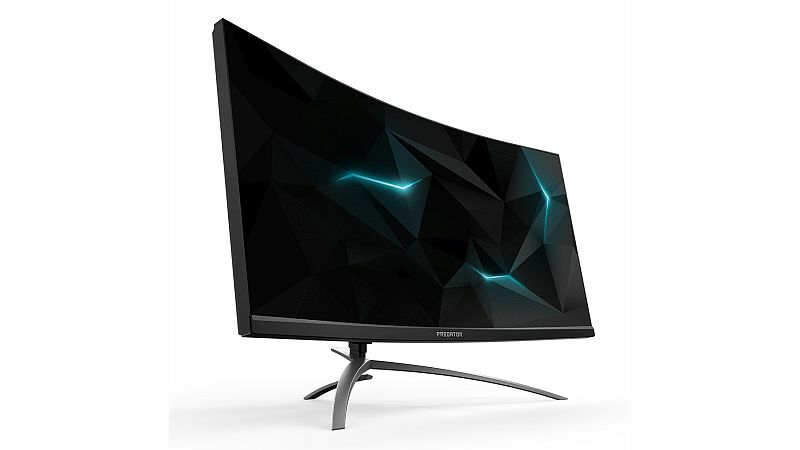 Acer Predator Orion 9000 series features a black-and-silver spacecraft-like exterior with customisable RGB lighting along the sides of the front bezel. The device comes with two handles and wheels covered with a carbon fiber pattern. Acer says that “the new rigs can be easily moved from one location to another.” It also features liquid cooling and Acer’s IceTunnel 2.0 to keep the temperature down. The series come with support of up to 4 Radeon RX Vega cards for high resolution in stereo and refresh rates. Gamers will also get option of two Nvidia GeForce GTX 1080Ti cards in SLI, which support virtual reality with ease. The Predator Orion 9000 will come with Intel Core i9 Extreme Edition 18-core processor and up to 128GB quad-channel DDR4 memory. The Predator X35 monitor, on the other hand, offers a colour gamut covering 90 percent of the DCI-P3 colour standard and supports 4ms response time, and high 200Hz refresh rate combined with Nvidia G-Sync for smooth gameplay. It sports a large 35-inch display with 21:9 aspect ratio with a WQHD (3440×1440) pixels resolution. It comes with Acer HDR Ultra and Quantum Dot technology. The Predator Orion 9000 Series gaming desktops will be available in North America in December with starting prices at $1,999 (roughly Rs. 128,000) and in EMEA in November starting at EUR 1,999. The Predator X35 display will be available in Q1 2018. The company has also introduced new Predator Galea 500 gaming headset and Predator Cestus 500 gaming mouse which has been priced at $299.99 (roughly Rs. 19,200) and $79.99 (roughly Rs. 5,200) respectively. Apart from launching the new Predator series and Chromebook 15, the company also revealed its all-new 23.8-inch Aspire S24 all-in-one desktop PC. 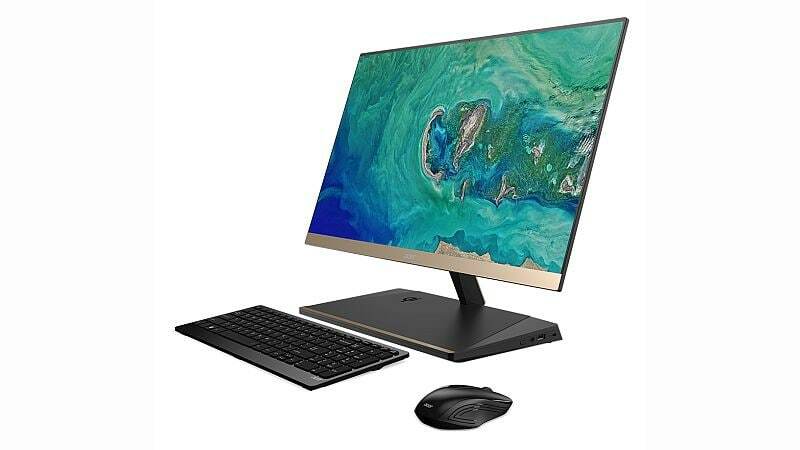 Powered by Windows 10, Acer Aspire 24 is being marketed as the company’s “slimmest ever” featuring a display with a side profile of only 5.97mm. Under the hood, the all-in-one packs Intel’s 8th Generation Core processors with optional Intel Optane memory with Intel Dual Band Wireless-AC (802.11ac 2×2 MIMO) technology. Running Windows 10, Aspire 24 offers Cortana and Microsoft Edge features. It comes with up to 256GB SSD and 2TB HDD of storage space. The Acer Aspire S24 will be available in North America starting January starting at $999 and in EMEA from November this year at EUR 999. Acer on Wednesday also announced two LTE-connected 360-degree cameras including the Holo360 all-in-one camera that allows users to capture, view, edit and share with just one device, and the Vision360 cloud-connected in-car camera. The Acer Holo360 is powered by a Qualcomm Snapdragon 625 mobile processor with Qualcomm’s Connected Camera platform. It supports capabilities such as stitching videos in real-time, comes with integrated LTE connectivity, and a 3-inch touchscreen for operation. The Acer Holo360 offers an all-in-one solution to livestream 360-degree videos. The Holo360 runs on Android 7.1 Nougat which allows users to share 360-degree photos and videos directly to social networks. Acer Vision360, on the other hand, is a cloud-connected 360-degree camera with use of two “ultra-high quality cameras.” The Acer Vision360 can be used in cars for recording all angles around the car in 4K quality video. Additionally, when an object collides with the car when it is in motion; the device triggers a recording that includes GPS coordinates of where the incident occurred, which is not only saved in a secure area on the device’s internal storage, but also uploaded to the cloud for evidence preservation. Apart from the camera, the Vision360 is mounted on the windshield, aligned with the driver’s eyes and also displays the vehicle’s current speed. The Acer Holo360 connected camera will be available in North America from November at $429 (roughly Rs. 27,500) bundled with a water-resistant case. Acer also unveiled two new projectors including the Acer VL7860 catering to the home cinema enthusiast, and the Acer P8800, for top-notch image quality for public venues or larger rooms. Pricing and availability details of the new projectors were not shared by Acer at the event. Pawbo, Acer’s wholly owned subsidiary, introduced two new products including Pawbo iPuppyGo, a lightweight tracker that keeps tabs on pets’ activity and wellness, and Pawbo WagTag, a cloud-connected collar for dogs to keep track of the location. 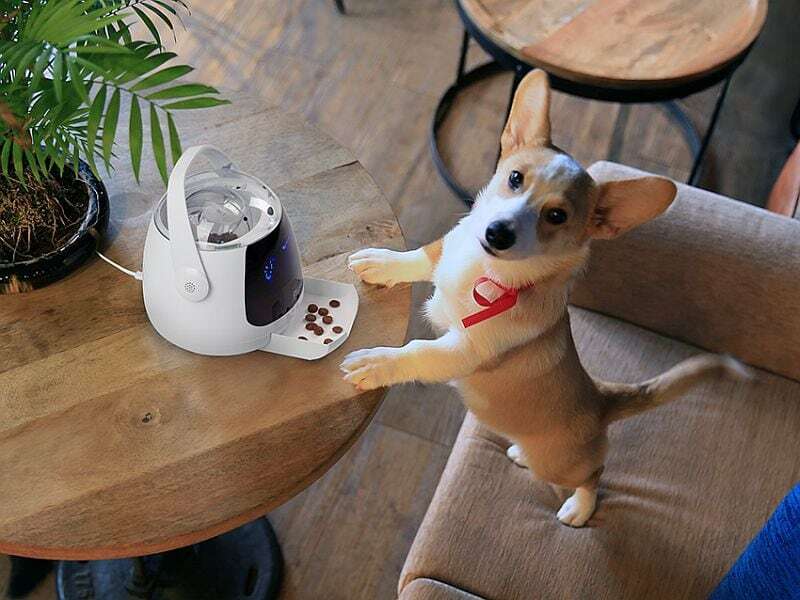 The company also showcased Pawbo Munch, which is a smart treat-dispenser that works with the Pawbo+ allowing pet owners to interact with their pets, whether at home or from afar. No pricing was announced for the products at the event. Improbable, a London startup, on Tuesday launched its SpatialOS Alpha platform that allows third parties to build virtual and simulated worlds. The platform will be powered by Google’s Cloud Platform which marks a strategic partnership between Google and Improbable. The SpatialOS platform allows developers to build and test large virtual worlds that can be used in VR gaming experiences and can accommodate thousands of players simultaneously. This scale was previously not possible due to games being developed on single servers. However, the Google Cloud Platform now lets SpatialOS distribute its processing across multiple cores and servers allowing for heavier tasks and higher level of graphics and detailing than is possible for platforms running on single game engines or servers. Notably, SpatialOS is able to create hundreds of conventional game engines that overlap each other to create a huge, seamless world. 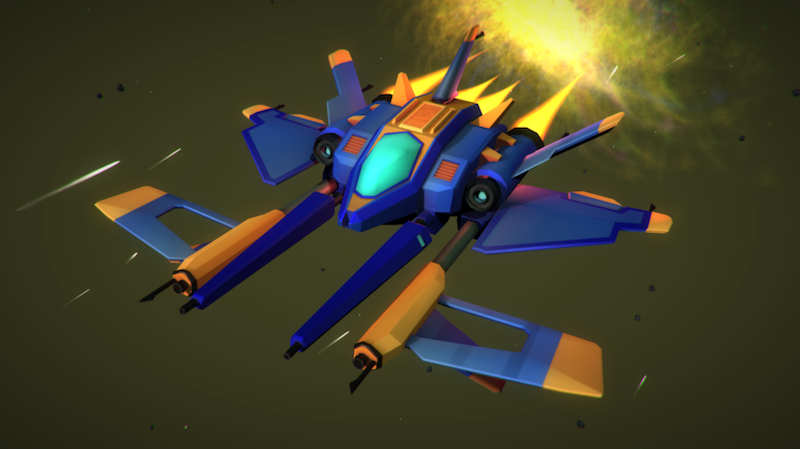 Developers can then create, design, and affect the world as they choose minus the computational restrictions and limited players of a single engine. SpatialOS wants to take multi-player gaming to another level. The platform can be used by smaller studios to compete with larger companies in creating large multi-player experiences. Few studios have already been working on SpatialOS-based games including Bossa Studios (Worlds Adrift), Spilt Milk Studios (Lazarus), HelloVR (MetaWorld), Entrada Interactive (Rebel Horizons), and Soulbound Studios (Chronicles of Elyria). For Google, the team-up with Improbable is another step towards its ambition to position its Cloud Platform as a place for developers to create a shared gaming experience to connect players around the world. A beta version of SpatialOS will be available in Q1 of 2017. Developers can, however, access the platform and tools to test it out with the Game Developer Open Alpha.